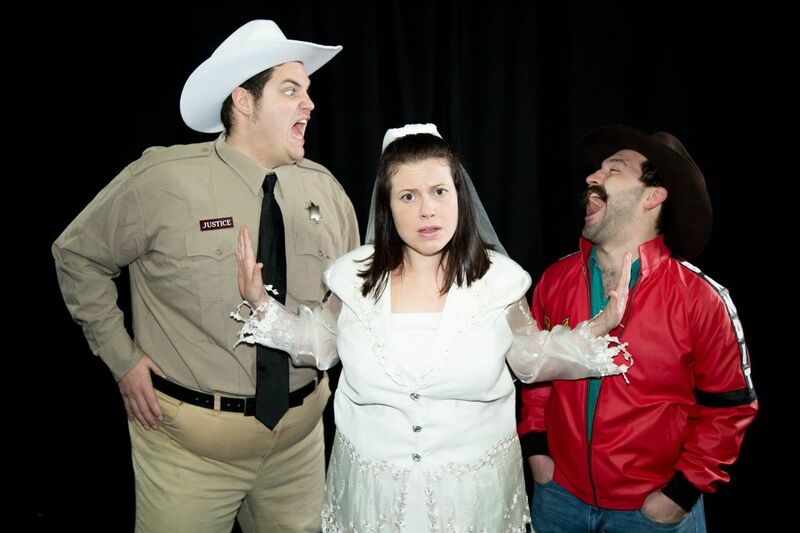 The folks behind such hits as "A Nightmare on Backstreet: A Boy Band Horror Parody," "Maul Santa: The Musical," "Babysitter Massacre ’78: The Musical" and "Bates: An '80s Psycho Musical Parody" are back with "Smokey and the Bandit: The Musical." The show will be the last one for We ARE Productions in Chicago. "Smokey and the Bandit: The Musical" will be presented from April 7 to 29 at MCL Chicago Comedy Theater, 3110 N. Sheffield Ave., Chicago. Tickets are $20, available at MCL Chicago Comedy Theater's website, www.mclchicago.com. Q - Great talking to you again. So how did you come up with the idea to do "Smokey and the Bandit: The Musical?" Were you a fan of the original movie? Ricky: Last year while we were rehearsing our show "Fleetwood Macbeth," I started to brainstorm on what our next big musical would be. At the same time, my family started talking about what we might do for my dad’s 60th birthday, the next year, in 2017. With just that, a light bulb went off in my head, and I thought that he would like nothing more than to see a live version of his favorite movie, on the 40th anniversary of the original movie. I started writing the script and selecting which classic songs would go in it. I would constantly laugh to myself when thinking about doing a stage musical of a movie that is 90 percent car chases. In the end, I chose songs primarily from the first two film’s soundtracks, "Smokey and the Bandit" 1 and 2 (a lot of Jerry Reed), a few from the country soundtrack to the film "Any Which Way You Can" (starring Clint Eastwood), and a few other country classic standards. I grew up listening to the soundtracks and watching the "Bandit" films. The craziest thing, is that we’ve been able to keep this show as a secret to my dad, and he won’t know about it until he comes and sees it on April 8. This show is a labor of love to him. Q - For people who come out to the show, what should they expect? What would you like for people to come away with from the show? Kit: To have fun! Right now we are flooded with so much negative news that I think it is the perfect time for a show that just wants to tell a fun story and share good music with its audience. Ultimately "Smokey and the Bandit" is about friendship, and loyalty and of course beer, and I think everyone can support those things. Ricky: It’s gonna be a great time. We have a live four piece country band lead and arranged by Robert Campbell, choreography by Laura Marsh, vocals arranged by Dan Riley, and vocal direction by Katie Foster. MCL Chicago is a BYOB theater, so don’t forget your cooler of Coors, and a foot that’s ready to tap. Q - How have rehearsals being going? What do you think of this cast and what do you think they bring to the production? Kit: The rehearsal process has been fun! A lot of us involved with the show are friends in real life too, so our rehearsal room, while productive, still involves a good amount of jokes, bits, and the occasional broken chair. It’s interesting because it is one of the rare times where a director of a show wasn’t actually a part of the casting process. So you can imagine my relief when it turned out they were actually all really talented and fit their parts great! I joke, but truly it is a very versatile cast and I think with all the comedians involved it will make for a very funny show. Ricky: This cast is awesome. Some of the most talented performers in Chicago. Q - I understand that this is weAREproductions' last show in the Chicago area. Do you think this is a fitting way to end your run here? Ricky: Our shows have always put entertainment for the audience first. What I mean when I say that, is, from the writing, to casting, to rehearsing and producing, our whole main goal is to thoroughly entertain the audience that is gonna come and see it. I couldn’t think of a more fun show, than a stage musical version of "Smokey and the Bandit," to go out on. This show doesn’t invite any pretense. The actors aren’t doing impressions of the famous cast of the film, they are embodying the spirit and the energy that encapsulated those characters. These characters, the world and the songs, are so much fun. I can’t wait to share this show with everyone who just wants to come in, pop open a beer, and have a good time. Q - Why the move to the Northern Kentucky/Cincinnati area? What's next for you and for We ARE Productions?Ricky: I grew up in the NKY/Cincy area, and in the past few years, their independent arts scene has really blown up. I wanna be part of that, and bring our unique sensibility of theatre, to that playground. We ARE Productions is currently in talks with a couple different spaces in NKY/Cincy, and should be bringing our special brand, by at least early 2018, if not sooner. We are looking to continue on bringing shows like "A Nightmare on Backstreet," "Fleetwood Macbeth," "Babysitter Massacre ’78: The Musical" and "Maul Santa," to that area, and mounting them again, while also creating new shows in the same vein. Eventually, we want to start connecting with local schools for some outreach programs, to get kids thinking, being creative and imaginative, with theater. Stay up-to-date with all things We ARE Productions via our Facebook group and weAREprod15 on Twitter and Instagram. Internationally renowned blues harmonica player Corky Siegel learned his craft at the feet of such blues masters as Muddy Waters, Howlin' Wolf and Sam Lay. Lay is one of the guest musicians on the Chicago native's latest album, "Different Voices," set for release on April 7. 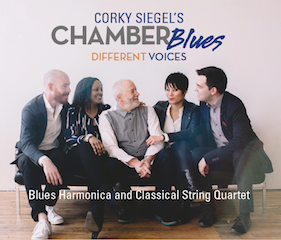 The album is the first for Corky Siegel's Chamber Blues since 2005. Lay, jazz saxophone player and Grammy Award winner Ernie Watts, Indian tabla master Sandeep Das, beat boxer Matthew Santos and Chicago folk trio Sons of the Never Wrong make appearances on the album, along with Marcy Levy, who sings her hit "Lay Down Sally," which she co-wrote with Eric Clapton. Corky Siegel's Chamber Blues will perform at 7 p.m April 8 at Elgin Community College's Arts Center, 1700 Spartan Drive, Elgin. The show will also feature the Elgin Youth Symphony Orchestra. Tickets are available at Elgin Community College's website, http://elgin.edu. I had the chance to talk to Siegel about the new album. Q - This is your first album since 2005's "Corky Siegel's Traveling Chamber Blues Show!" What took so long? Any pressure to do the album? Well, I took my time, didn't I? I've never been pressured about that kind of stuff. I was always working on it, since 2005. I want to make sure that when I release an album, I'm happy with it. Q - Beyond that, did you have any goals for the album? And do you think you accomplished them? The goal for the album was to dig deep into my soul and find out what I'm supposed to do, and then do it. Q - That's great that somebody who has been doing this for so long still wants to explore more. Absolutely. I'm still trying to find out what I like. When I was on tour with Bob Hope for six days, I said to him, "Bob, I'm really disturbed about professional musicians saying that you're supposed to read your audience, that you're supposed to know your audience." I told him that made no sense to me. He told me a story where he showed up for a performance really late. He started telling his jokes and he was bombing. There were few giggles here and there, but that was it. So he cut his show short, he gets into his limousine to go back to his hotel, when he realizes that this was an event for people who couldn't speak. They were mute. So he said, "Corky, never try to read your audience." I told him that I'm still working on reading myself. How could I look at thousands of people and read them? So he reinforced my understanding that we're here, we're individuals and we need to find out who we are and what have to offer and just offer that and be fearless about it. That's the arts. That doesn't mean that we should try to create something that's difficult for people to understand to show how fearless we are. As far as I am concerned, somebody could be inspired to copy another artist, and if that's what they are inspired to do, that's what they should do. So whatever is, let's say extremely interesting about "Different Voices," I didn't do that because I wanted it to be weird. I just did it because that's honestly 50 years of working on trying to find out what's in here, and offering that without worrying about what anyone else is going to think about it. Q I know you formed Corky Siegel's Chamber Blues in 1987. But I understand that you were intrigued about putting together chamber music and the blues back in 1966. What intrigued you about the idea? In 1966, I had just come out of a residency with all the blues masters (including Muddy Waters, Howlin' Wolf, Willie Dixon, Buddy Guy and Sam Lay). I just came out of that whole, incredible profound experience that I didn't even know the value of when I was experiencing it. Looking back, it's pretty mind blowing that we were the center of attention and all these blues masters took us under their wing. Howlin' Wolf was more of a mentor more directly than anyone else. He'd knock on my door in New York City every morning, and we'd take these walks. He loved my band Siegel-Schwall, and he wanted to tour with us, so one time he took us on tour. Siegel-Schwall was not praised by our contemporaries, but Wolf and Muddy did like it because they saw we were trying to do something original. Which wasn't exactly correct. I was trying to sound just like Howlin' Wolf. It didn't work. That was not going to happen. This guy comes in night after night, and he's a big fan. And one night, he comes up to me, and he says, "Corky, I'd like your band to jam with my band." His band was the Chicago Symphony Orchestra, and that was Seiji Ozawa. So it was Seiji who was inspired with the idea of bringing the spark of blues to classical music. And he basically crowned me as the person to do it. And I was just going along with. As I tell the music people, Chamber Blues was neither my idea nor my fault. I didn't pursue it, but it pursued me, and I started getting offers to compose for symphonies. At some point, I really fell in love with Seiji's idea. I had to do it. I decided to do it in a chamber music setting, because a symphony wouldn't fit on a bus. It happened right during the time when all the electronic, synthesizer music was really, really popular. And I really moved to do something very, very acoustic and pure. Q - Do you see this album as being the pinnacle of what Chamber Blues can do? Yes. I really feel this is a culmination. If you look at the compositions, there is a juxtaposition happening where both idioms maintain their characters, but they are working together. That's the concept of Chamber Blues. It's not always happening in the music, but it is the focus, it is the direction that it's always going, to have these two elements that seem like opposites working together. Q - Did you hand pick the guest artists on this album? All of them have been in guest artists with Chamber Blues in live performances. The first one, I believe if I am correct, was Marcy Levy, Marcella Detroit. I wrote an arrangement of "Lay Down Sally," and then I wrote an arrangement of a whole bunch of other stuff that she wrote. And then she performed with Chamber Blues. So we had sort of the Chamber Blues thing going, but we also had a little bit of that R&B thing going. This isn't just bringing somebody in to do an album. We actually perform together, and we perform a full repertoire of their own material with Chamber Blues. It was just sort of a natural progression to have some of these guest artists on an album. But it was also a natural progression that I've done five recorded projects juxtaposing blues and classical music and not bringing in specifically another element. So it was time to bring in another element, and it was time to bring in a guest artist. And so it was just a natural progression, which is pretty much how I experience my musical life. This wave came, I hopped on the wave, and I've been riding on it ever since. 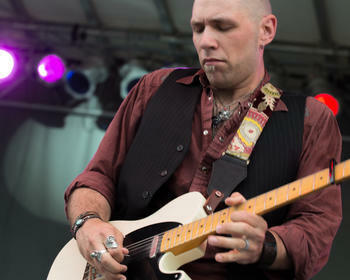 Q - And blues legend Sam Lay is on the album. And he's still going at it in his 80s. Is he kind of any inspiration to you? That's an understatement. He just exuded this incredible energy. The band (Paul Butterfield Blues Band) was tight, and Sam was this powerful engine. It wasn't like he was playing loud. It was like he was playing with an intensity. And I swear, I've never heard another blues drummer do that, not like Sam. Sam doesn't play the drums, he sings the drums. Q - Are you happy with how the album turned out? Happy isn't the word. I don't think there's a word. The word is that it's perfect. Q - So it's time for you to retire, after experiencing absolute perfection? Yeah, what is there left to do? I'm really happy to tell you that it's perfect. Even with the errors. This is extremely spontaneous. And I have learned over the years to love the unintentional. There's a balance. You look for that balance, where you don't lose the passion and excitement and the energy. Over my 50 years of performing, I've seen what music does to people, how it uplifts people and brings people together. Well, it's the musical elements that have all this power. When we love a particular type of music like jazz, what is holding our attention and carrying us away? It's sort of these musical elements. I get to arrange and manipulate the musical elements to my liking. It's sort of like making a sculpture out of gold and then looking at the sculpture and saying, "Wow, look at the luster." But the luster is in the gold. You could shape it any way you want, and the luster is going to be there. I really look at music that way. And I feel grateful and honored to be able to do this. After seeing several close friends and family members pass away in the last few years, musician Noah Gabriel decided to tackle the subject directly on his 10th album, "Dead Reckoning." The album is being released on both CD and vinyl. To celebrate the release of the album, Gabriel, an Aurora native who recently moved to Batavia, will perform March 24 at Water Street Studios, 160 S. Water St., Batavia and at Kiss the Sky record store, 180 First St., Batavia. The event will begin at Water Street Studios at 7 p.m. with a solo acoustic show by Gabriel, amidst a gallery of his own acrylic painting portrait artwork. The night will continue at 8 p.m. when doors open into Kiss the Sky record store where the full Noah Gabriel band will play. More information is at his website, www.noahgabriel.com. I had the chance to talk to him about the new record. Q - Is this a full band record? It's a solo record, but it's full band performances. I recorded it with my buddy Adam Gardner. We were in jazz band together at Marmion Academy in Aurora. Justin O'Connell is also on the album. He's part of the Noah's Arcade band, the rock trio I do stuff with. We're in the midst of putting a new thing together that's basically Noah's Arcade plus Adam. That's what we're doing to play the album out live and promote the album and what not. Q - What was the concept behind the new album? "Dead Reckoning" works on a couple different levels. It's about coming to terms with death, but at the same time, it's also a nautical term. The dead reckoning was how they would find their position out on the ocean using previous points and stars and stuff like that. Q - So is this a personal album for you? Was it cathartic? Writing the songs was the cathartic part for me. One of the big reasons that I wanted to put it out on vinyl is because the album is divided into two halves. One half of the album is dealing with death from the angle of someone who is passing away, and the other side is basically looking at [it] from the family's perspective, trying to deal with the loss of someone. Through each side, I wanted to get to a point of resolution with it, like almost going through the stages of grieving, and not just talk about death and dying, but trying to make sense out of it, in any way I could. It worked for me, and I hope it makes sense to others. Q - Musically, what were you looking to do with the album? Adam was head producer on it. We co-produced it, and our idea was we wanted it to have a flow. We wanted the whole album to kind of have a feeling both of melancholy, and at the same time, elation, I guess. Q - So each song kind of has its own musical identity? I would say so. And at the same time, we tied it all together. It also works as just one piece. Q - And of course, this is going to be your 10th album. Does it kind of blow your mind that you are about to release your 10th album? I guess. I never thought that I would get to release one album, so it's pretty cool to be on 10. At the same time, I sit and think about that I am in the process of recording two other albums right now, and I've got a bunch more written. I look at it as another little step in my evolution, you know. Q - How would you say your music has evolved over the years? I'd like to think lyrically, it has matured, and even musically. I don't know. I guess the older I get, the more experiences I have, and the more real it gets. I just find it's coming from a more real place, and a more mature place. Chicago singer/songwriter Liz Chidester continues to expand her musical horizons. Her latest project is the electronic folk group Liz and the Lovelies, which recently released its first EP, "Progress into Simplicity." To celebrate the release of the album, the group will perform at 8 p.m. April 4 at North Bar, 1637 W North Ave. Chicago. 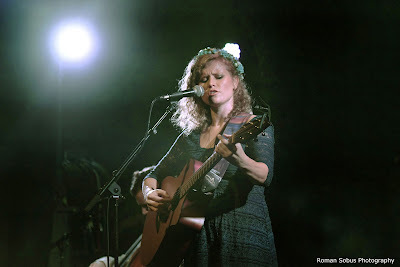 I had the chance to talk to Liz about her latest musical project. Q - Great talking to you again. You certainly are busy these days, with the upcoming release of "Progress into Simplicity" and your role as Laura in "High Fidelity: The Musical." I understand that the production has been extended three weeks. What made you want to be part of that production? How does the production differ from the movie starring John Cusack? When I saw the audition notice for "High Fidelity," I thought it was a brilliant idea, bringing the movie back to Wicker Park in a storefront theatre format. I also heard great things about Refuge Theatre Project and wanted the opportunity to work with them. This production is a remount, as we had a sold out run back in Jan-Feb of 2016, and I'm so happy to be with this cast and crew again. Everyone is giving it 100 percent, and they are so fun to be around. I will be heartbroken all over again when its over. The main difference between the movie and the show is Rob's realization that he is the root cause of his problems. This realization and resolution happens very quickly in the musical as pacing would be sacrificed to convey all of the inner workings of Rob in those moments as they are done in the book and movie. Stories change to best fit the format for which they are told. Q - A few songs on "Progress into Simplicity" have a sweeping, theatrical feel to them, especially on songs like "The Same" and "The Sky Is Falling." Do you think your work as an actress has influenced your music? In sitting down to make the EP, what were your goals and do you think you accomplished them? ​My musical roots are in folk music and musical theatre, so naturally those elements come out of my voice and are a part of my writing. I was concerned that some may be turned off by a more theatrical sound to some of my music, but I wouldn't be true to myself if I tried to suppress what is authentic to me. My goals for the EP were to work with friends I trust (Matt Griffo, Nicholas Gunty, and Brian Powers) and to be able to make a concept EP. I set out to do this back in winter of 2015, and it took about two years for everything to come together. Q - I know the EP is also a concept album that tackles the issue of technology. As a musician, how have you tried to use technology to your advantage? ​The advantages of technology are equally challenging and amazing, and there is something new every season to try to incorporate into your writing and performing. Again, the expense can sometimes prevent further exploration, but being able to use loop pedals and programs like Logic Pro add another layer and challenge the ear pallet. I also LOVE to dance, and while my intimate folk music is closest to my heart, I wanted to create something that felt joyful, something I could dance to in my living room. Electronic beats definitely help. Q - Tell me about the formation of Liz and the Lovelies. How did you meet your band mates and what was your vision for the band? ​The band Liz and the Lovelies has slowly accumulated over the years from friendships I've made living in Chicago. My boyfriend, Zach Finch, was a punk drummer for 10 years, so he has gigged with me on his cajone for a long time, and now I can hopefully showcase his kit skills. My brother, Alex Chidester, moved to Chicago a couple of years ago, and has a terrific voice and harmony instincts, so I added him to the mix. Mike Fletcher is an old friend of mine from high school and college and lives in my Chicago neighborhood, and happens to be a fantastic musician and bass player. Lewis Rawlinson is an actor and cellist and wonderful soul who I met during "High Fidelity" last year, and I love the warmth he's added to our sound. Ivan Pyzow is a multi-instrumental musical genius and writes his own music, so I definitely wanted him to be a part of this project. While I heard what these musicians could offer to what I had written, I also knew they would be able to improvise and play and have fun together for anything new in the future. At the core of what we do together, we are friends having fun. Q - You are also a teaching artist at Old Town School of Folk Music and Chicago Children’s Theatre. In working with budding actors and musicians, what are some of the most important things that you try to convey to them? I definitely want to instill a sense of play in the kids when it comes to music and theatre. While I think there is merit in excelling and having diligence be at the core of your artistic journey, you also want to keep coming back to the instrument or medium every day, and if it's not fun, you are less likely. Q - What does the rest of the year hold for you along with your band? ​We are applying to festivals in Chicago and the surrounding states and planning a two week summer tour at the end of August that would travel through the eastern Mid-west, down the East Coast, and back up to sweet home Chicago.